The Sensing Spaces- Architecture Reimagined Exhibition at the Royal Academy of Arts London ‘sets out to evoke the experience of Architecture within a traditional gallery environment’. The exhibition is well worth a visit, whilst not really breaking any boundaries it is accessible to all- architect or not the message is clear. It is an enjoyable experience, contemplative and explorative simultaneously. 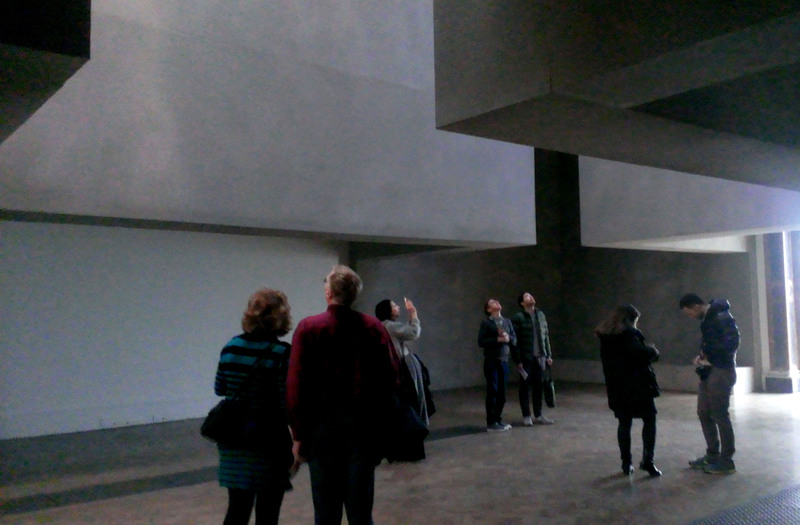 The two rooms designed by Grafton Architects contrast a mass, foreboding structure that looms over the visitor with a light room with delicate suspended panels dispersing the light, it is a simple move but effective. However not anything entirely unconventional from modern architecture. The playful forest set, maze installation by Li Xiaodong reveals some interesting hidden small spaces. 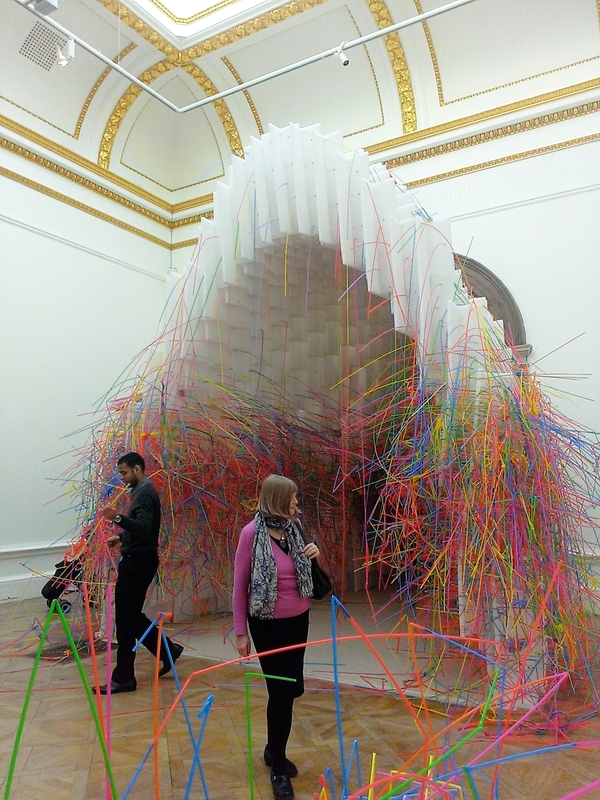 Similarly the honeycomb tunnel structure by Diebedo Francis Kere encourages interaction with the visitor via the insertion of long colourful straws to change the installation over time. Pezo von Ellrichshausen has designed a large wooden structure that leads the visitor up through its large columns via spiral staircases to a space which brings them eye to eye with the ornate ceiling of the gallery, the walls being slightly too high to look over the side into the gallery below. The descent is at the rear, leading you down a long timber ramp from the brightly lit ceiling into a dark enclosed space below the columns. The installations by Eduardo Souto de Moura and Alvaro Siza are typically understated. Souto de Moura casting and re siting the ornate door frames of the galleries, highlighting their unique detail. 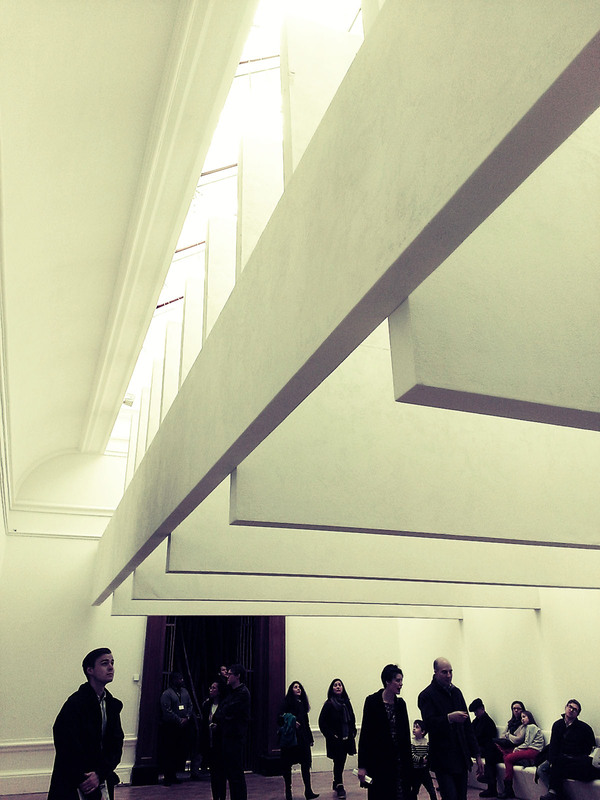 Siza heightening our awareness of the columns in the entrance courtyard of the Royal Academy. Whereas Kengo Kuma creates an intensely dark room lit only by small lights shining up to reveal woven structure twisting towards the ceiling of the gallery.